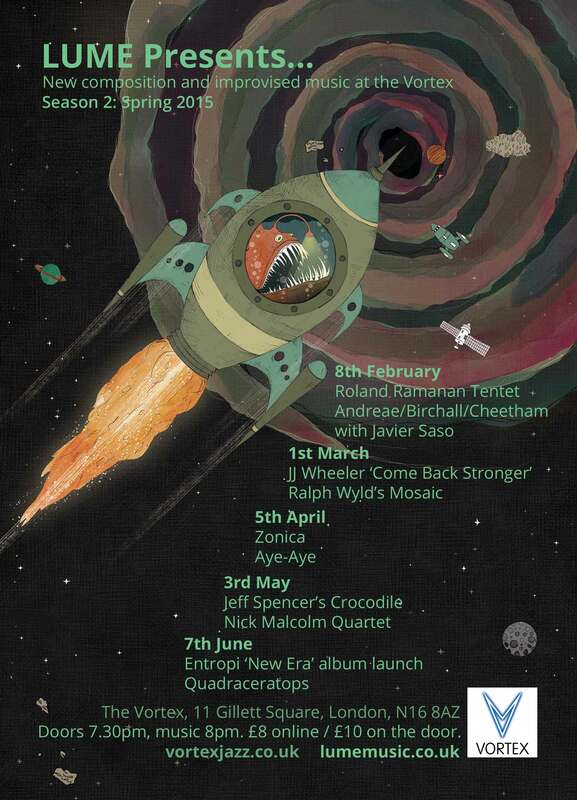 After a few single-band gigs, this week we have a double-header of top improvising musicians. Baritone/tenor monster Colin Webster will share the bill with Shatner’s Bassoon drummer Andrew Lisle. Both will play solo sets, then they’ll play together as a duo. 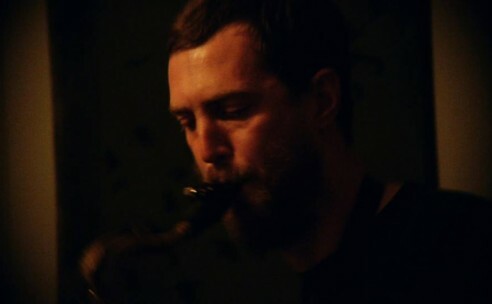 Colin Webster is a saxophonist/improvisor from London who has performed with some of the key figures in free jazz and improvised music, including Archie Shepp, Joe Bowie, Steve Noble and Alex Ward. Colin has recorded four albums and toured extensively with poet Anthony Joseph, and also recorded four albums of improvised music with drummer Mark Holub. Colin is also involved in other projects and collaborations with like-minded souls from all over the world. 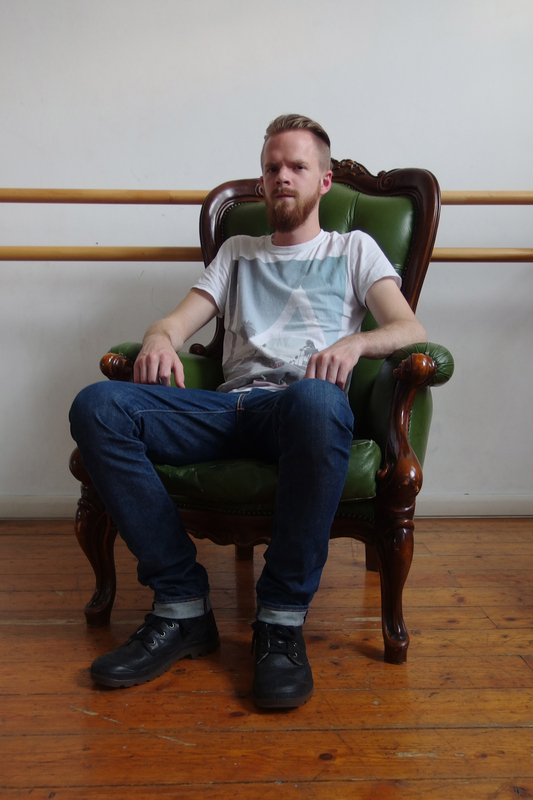 Colin’s solo work focuses on the extremities of the saxophone sound, often exploring strict sonic palettes. His debut solo album ‘Antennae’ was released on cassette by Gaffer Records in October 2013. The album is a series of close-miked improvisations with an emphasis on minimal saxophone sounds such as breath, resonance, mechanical sounds (key/pad noise), and so on. Colin is currently working on a second solo album exploring the other end of the sonic spectrum, focusing on loudness and abrasiveness. 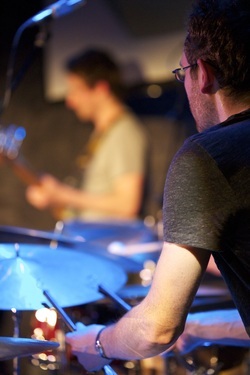 Andrew Lisle is a drummer in the early stage of making his mark on the London improv scene. 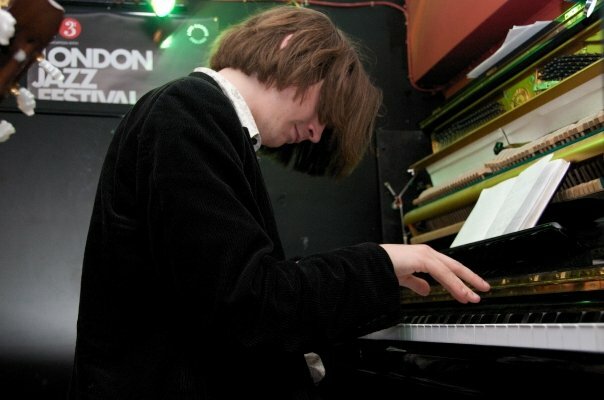 After graduating from Leeds College of Music in 2011 he moved to Lisbon, Portugal where he performed and recorded with local and international improvisers. Since moving to London in September 2013 he has started a number of projects including; duos with Alex Ward and Daniel Thompson, collaborations and live performances with Tom Wheatley, Seymour Wright, Thomas Lumley, Ricardo Tejero and Roberto Sassi. His style blends fast, dry, dynamic playing with dark, cinematic sounds. Should be a lovely night! Doors 8pm, music 8.30pm. Long White Cloud, 151 Hackney Road, E2 8JL. £5 entry. 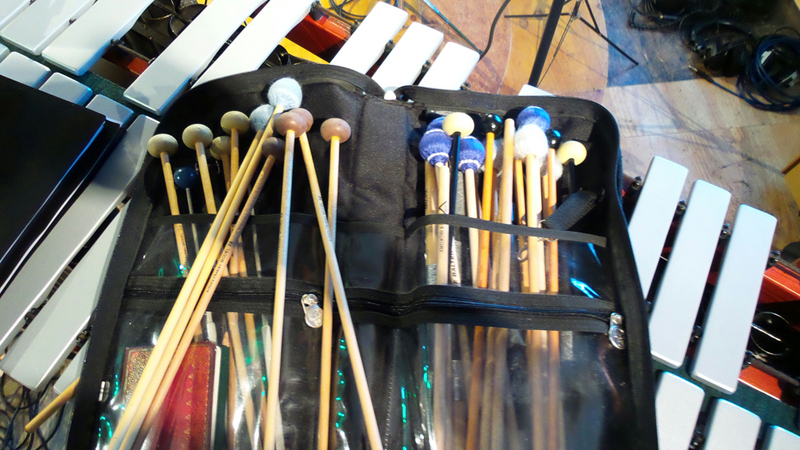 This entry was posted in drums, improv, joy, News, saxes on March 14, 2014 by cath. 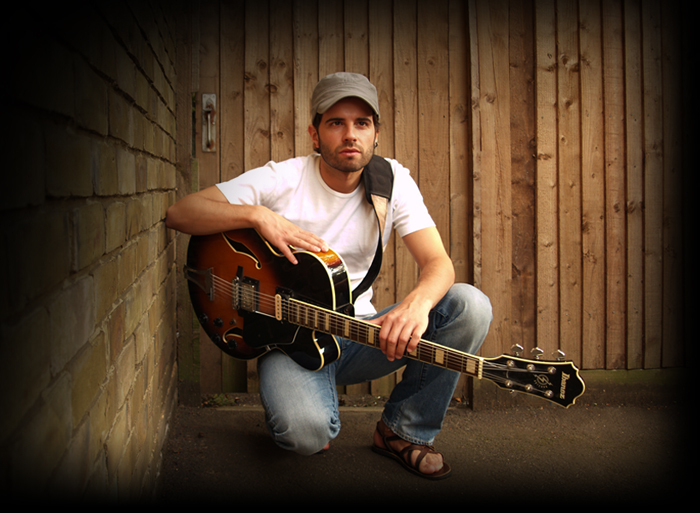 This week we’re hosting guitarist Vitor Pereira as part of his Jazz Services UK tour. 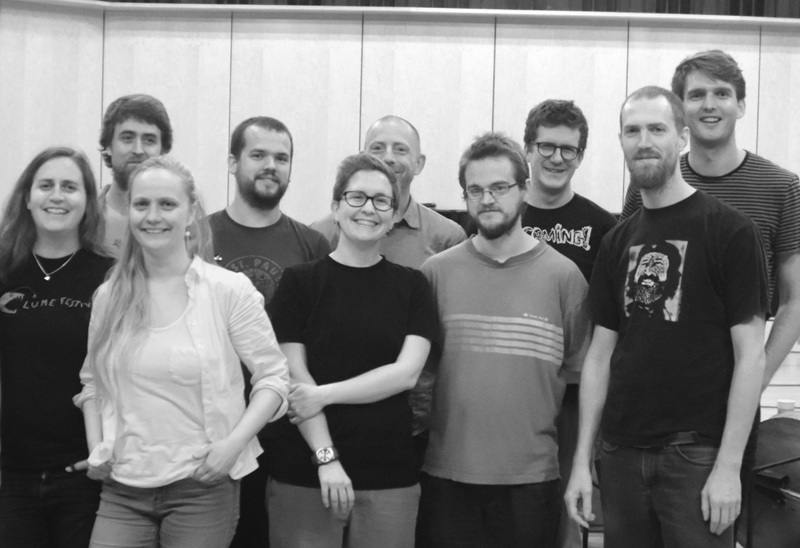 Vitor and his band have already played in Sheffield and Poole earlier this month, and will be heading off to Cardiff, Brighton and Bristol next. Vitor Pereira’s quintet was formed in 2009. Initially a quartet, they have been focusing mainly on original music and experimenting with a broad range of aesthetics (as well as band members). The time has clearly been well spent, culminating in the fully grown and conceptually mature band it is today, with tunes full of weaving, intricate melodies and off-kilter yet catchy rhythms. The group’s Portugal-born leader studied classical guitar before moving into jazz, and despite its obvious jazz roots Pereira’s music draws on a background of musical influences. Energetic riffs, together with hints of classical and world music, create a unique and dynamic sound capable of captivating even the most reluctant listener. 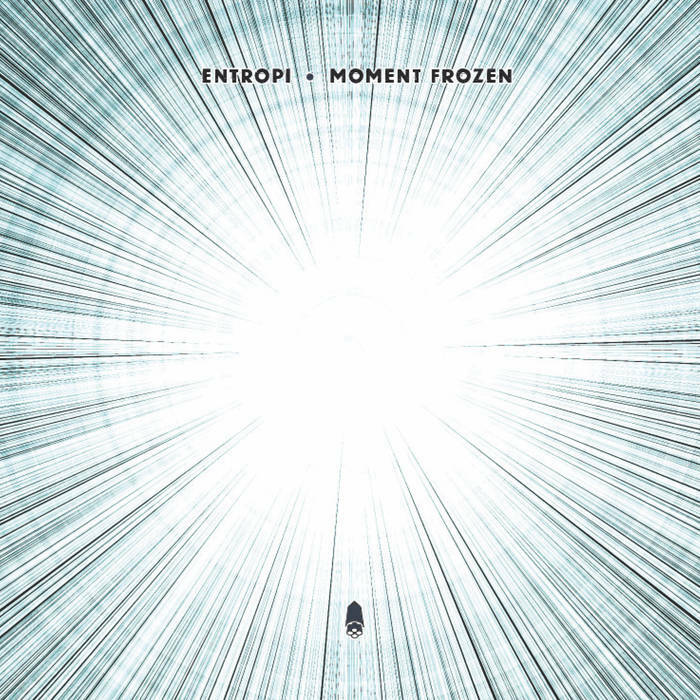 The release of 2012’s debut album ‘Doors’ (F-IRE Presents) attracted great reviews. With a successful performance history and the talent of prominent and award winning musicians, this quintet is gaining momentum as an extremely promising prospect on the contemporary UK jazz scene. This entry was posted in guitars, News on March 7, 2014 by cath. We will also find ourselves in new surroundings once again, this time over in Hoxton at Long White Cloud, 151 Hackney Road, E2 8JL. This friendly cafe venue is about three minutes’ walk from Hoxton overground station and all the buses of Kingsland Road, just around the corner from the Premises Studios. They regularly host art events and are looking forward to getting into live music too. It will be interesting to see how the gigs work in the space, and we’d love to know what you think. As usual, more detailed posts about each gig to follow. 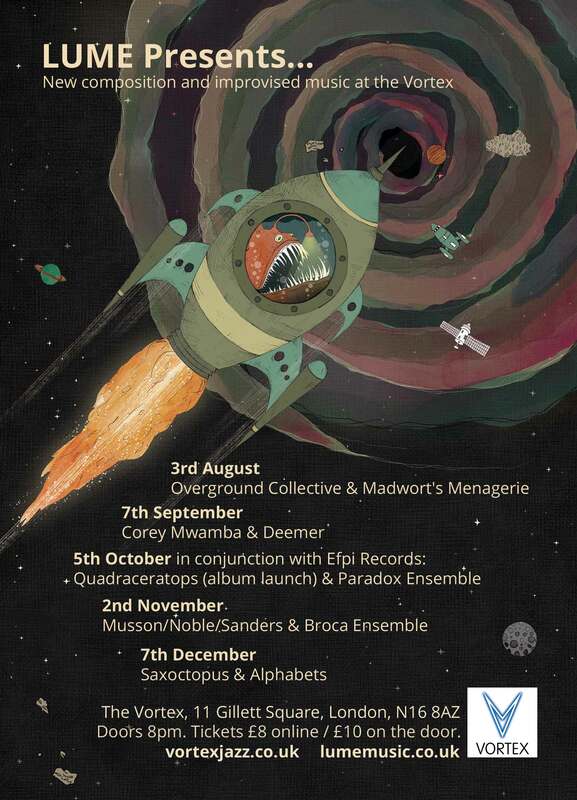 In the mean time, get the dates in your diary and we’ll see you at Long White Cloud in Feb! This entry was posted in improv, joy, News on December 18, 2013 by cath.